We know that Aereo helps people move live TV signals around to various devices, that broadcasters are suing it, and that it has raised $63 million in funding from backers like Barry Diller’s IAC. 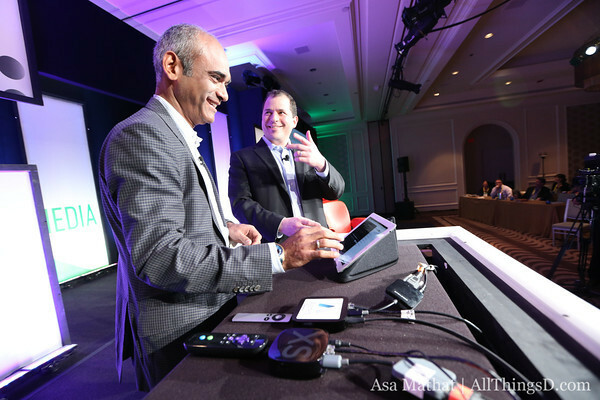 Speaking today at D: Dive Into Media, Aereo CEO Chet Kanojia said his $12-per-month or $1-per-day service, which is currently only available in New York, is most often used for watching live events, like sports or storm reports. Kanojia, who demoed the service on an iPad and a Roku, said half of Aereo users today have TV subscriptions, while half have cut the cord or never had one. Probably 70 percent of the U.S. population is perfectly happy spending a bunch of money on a monthly TV bill, but around 20 percent today are the potential market for Aereo, according to Kanojia. And after they join up, content creation and distribution business models start changing. “I think [all the TV companies] understand that if this shift starts happening, and it’s real, they’re going to have to be in front of these people,” Kanojia said.